Are you updating your home’s lighting? Adding some new outdoor lights to your front walkway? Installing emergency lighting at your commercial business? The experts at Hummell Brothers can help! From installing a new light in your foyer to putting in a sensor security light out in your driveway, our store has the electrical supplies you need to get it done. 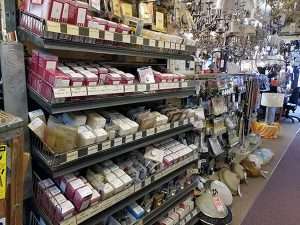 Hummell Brothers is the trusted electrical store for Jeannette and the surrounding areas, carrying a wide variety of electrical products for all of your lighting needs. From our vast inventory to our staff with over 150 years of combined knowledge and experience in the electrical and lighting fields, you can be sure that you will always receive the correct products and tools to complete any electrical project. Hummell Brothers Lighting and Electric Supply has the experience and know-how to service all types of customers: residential, commercial and industrial for lighting and electrical products. So don’t put off that new lighting project any longer! Stop by our electrical store or contact our lighting professionals today and we can tell you more about our electrical store and all of the products we carry. Our electrical store has been in business for almost a century. Since 1925 Hummell Brothers Lighting and Electric Supply has provided Jeannette and the surrounding areas with quality service and expertise that has kept us in business for decades. And, our electrical store is a small business not one of those big box stores which means we care about our customers and have the time to help you with all of your lighting needs. But don’t let our small size fool you. We have over 1,000 lights and fans on display. And, our many trusted suppliers are also available to provide us with a variety of styles to choose from. And these are just some of the supplies our electrical store carries! Stop by today to see all we have in stock and to speak with out lighting professionals about your next project. Are you ready to start your own lighting project? Stop by our electrical store in Jeannette to get help with all of your lighting and electrical needs. Or, contact Hummell Brothers at 724-523-3611 today.